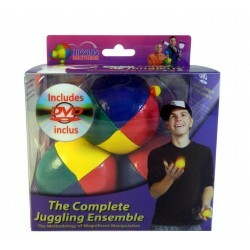 The World's Finest Juggling Kit has been our flagship product since its introduction in 1994. 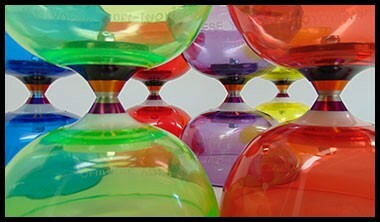 This juggling set and some of the others below come with our world famous Higgins Brothers juggling balls. 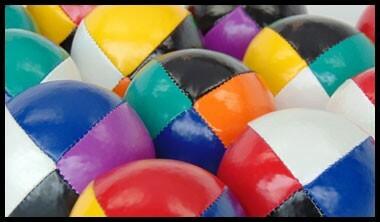 These professional balls are cut, sewn, filled, and sewn closed by our highly valued employees right in our warehouse. 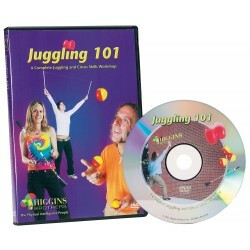 Our Circus in a Suitcase and HB Beginner Juggling Set contain "beginner" juggling balls. ALL of our juggling sets are assembled right in our warehouse as well. 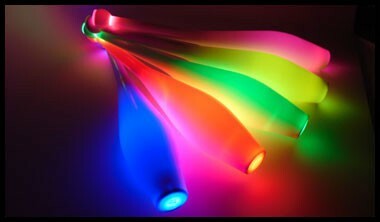 Wholesale Juggling Equipment. Juggling Kits There are 14 products.